Hello girls, something which has definitely cheered me up from this awful repulsive weather was my delivery of Foxy Locks hair extensions on Wednesday morning. I am a great lover of hair extensions, they not only make your hair longer, but also add so much volume and texture too. Having tried all types of hair extensions from bonded to weaved and back, I have come to the conclusion that clip in hair extensions are by far the best. Yes, they can sometimes be a pain to have to clip in and out but they don't damage your natural hair and can look just as great. 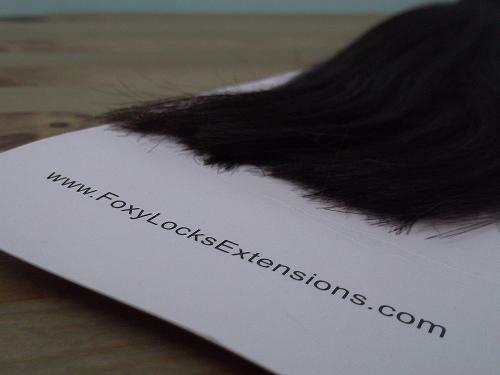 I have tried Foxy Locks in the past and I absolutely loved them, they are by far the best I have tried, and having tried countless brands I'm sure I have the ability to be a good judge of quality! These are my second set of Foxy Locks as you need to replace hair extensions every so often once they look a bit worse for wear, however my previous set lasted me a good eight or nine months which in extension world is fantastic. I ordered mine from the website (http://foxylocksextensions.com/) on Thursday night and they arrived first thing on Monday morning. A four day wait is pretty standard and I love the pink packaging it came in. Like a kid on Christmas Eve I opened my package and was so excited to have a new set of hair extensions. I ordered the 160g 20" in Darkest Brown and it was a perfect colour match to my hair. Hair - The hair used is 100% human Remy hair, which means that the hair cuticle runs downwards and prevents matting and damage to the hair. You can treat the hair as if it were our own. You can dye them, straighten them, curl them, everything. Remy hair is known to best the best quality hair on the market and Foxy Locks hair looks so natural compared to other hair extension brands. Colour - It can be daunting for some people to choose the colour of extensions which is best for them. Imogen who overlooks Foxy Locks offers a colour match service if you are worried about choosing a colour over the internet. There are also some videos on her YouTube channel which offers advice about the colour which is best for you. Thickness - I ordered the Deluxe set which weighs 160g. 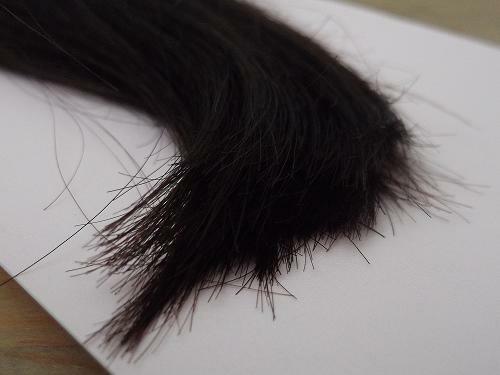 This basically means that there is more hair on the hair weft than a standard set of extensions, and there is alot of thickness to them. There is an option to choose between a Regular set (120g), a Deluxe set (160g) or a Superior set (215g). Because I have layers in my hair the deluxe set was perfect for my hair type. 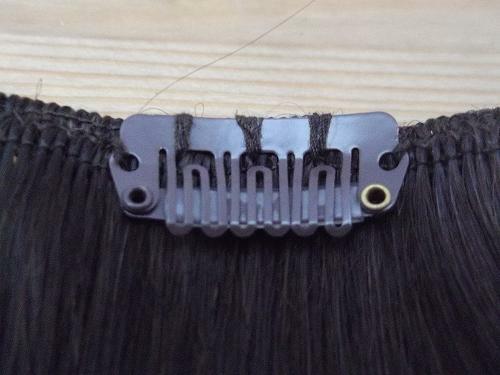 Clips - When I've used other hair extensions in the past, the clips have been weak and have even snapped. Foxy Locks have the most durable clips I've used, and the silicone strip on the base of the clip means that your natural hair doesn't snap against the metal and the plastic. Price - Unlike other methods of using hair extensions, the Deluxe set of hair extensions set me back only £74.00 which is a reasonable price. 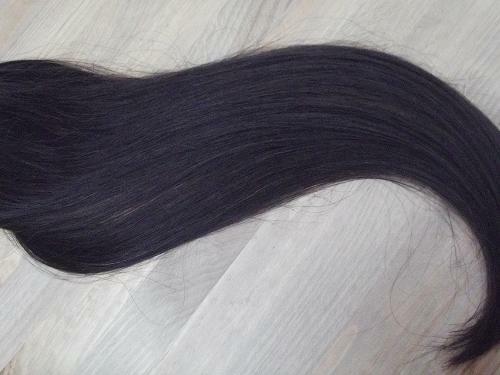 Of course, depending on the thickness of the hair extensions you will pay more or less. The regular set cost £56.00 and the deluxe cost £118.00 (This doesn't include postage and packaging). 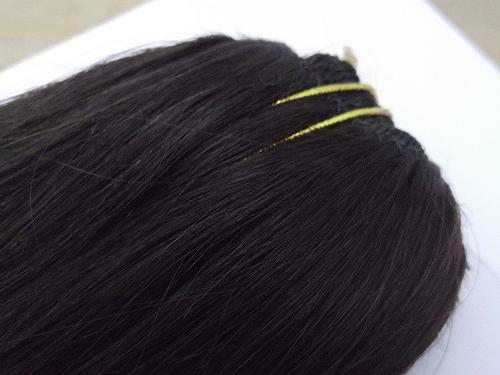 Length - The key to hair extensions is making them look natural. Foxy Locks currently only offers 20" hair extensions, but I personally think that is an ideal length. I used to wear 22" or sometimes even 24" extensions and I admit I did love them, but 20" is just fine and a perfect length for most people. Durability - Like I mentioned, my previous set of Foxy Locks extensions lasted me a good eight or nine months. With other brands I've had to replace mine every three months which isn't ideal if you are a struggling student like me. Providing you take care of them, extensions can last up to a year. I may write a blog post on how to look after hair extensions in the future so look out for that! Have you tried Foxy Locks hair extensions? What did you think? I have one question though.. I needed to get mine cut before I was able to use them 'cos the ends were super thick and straight. It looked very fake if I wore them without curling first. Have you had the same problem? Very good post with a lot of beautiful pictures. Keep up the good work! I can feel more confident using this billige extensions. You will instantly feel sexier, more feminine, and more energized. Our factory covers an area of more than 1,000 square meters and has 120 skilled professional employees.We supply customers with qualified products with competitive and favorable price via strict quality control procedures and rich experience. We have well-equipped testing equipment and strong technical force. The virgin Clip in hair extensions we provided are 100% natural human hair without anything mixed and never go through chemical process Now our monthly output is more than 40,000 pieces of hair extensions and more than 4,000 pieces wigs and toupees, mainly exported to North America,Europe,Australia,Africa, Russia, Japan,Brazil,and other 20 countries. Welcome to negotiate business and establish a long term win-win partnership.Your benefits are my benefits.We hope to join hands with friends in different regions to create a brilliant future.